This understated heart pendant by New York designer Michael Kors has timeless appeal. 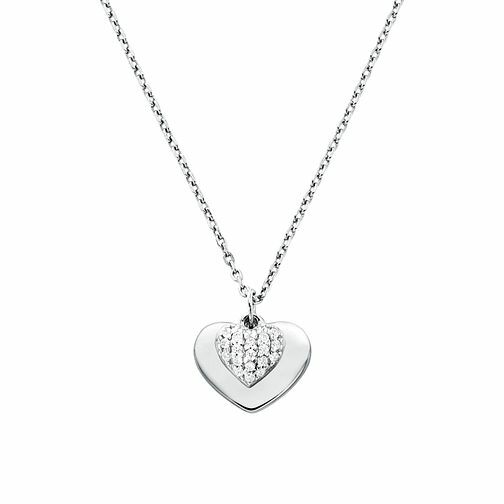 With its dual heart design in stylish sterling silver, a sophisticated sparkle is achieved with one cubic zirconia encrusted heart motif. Michael Kors Sterling Silver Kors Love Heart Pendant is rated 2.5 out of 5 by 2. Rated 4 out of 5 by Anonymous from Nice if a little tiny Had no idea on size and was initially surprised how small it was.